SELLERS ARE VERY MOTIVATED! IN-LAW/HOME-Come see for yourself ! Two home for price of one. Vacation year round without ever leaving home. Boasting many extras, spacious large one BR/full bath, in-law-family apartment, full size kitchen, as well as living space, 1/2 BR down with laundry, separate entrance, pool view, large closet space, and storage, sky lights and palladium window. Home has been remodeled/updated, pretty eat-in kitchen for all the family entertaining. Hard wood floors, stained glass accent oak cabinets, bay window, palladium window, 3/4 BR's (4/5 total) 2 full BR's (4BR's total) large master BR with cathedral ceilings, custom accents throughout this home, finished basement, (playroom/family room) 3 season room, 2 car garage plus 1 more, 2 stall barn. 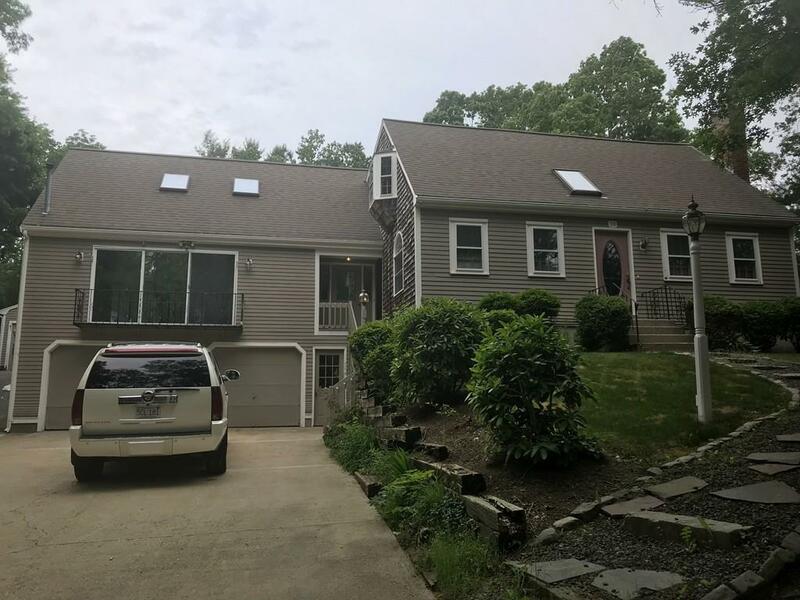 This property abuts Acers of conservation land for those nature walks, Quiet neighborhood, close to commute, Plymouth's beautiful waterfront. Lots to offer!